September 21, 2016 -- More than half of U.S. hospitals with websites and breast cancer screening services offer online mammography patient education material. But is the material understandable to patients? Not as often as it should be, says a new study in the American Journal of Roentgenology. The findings are worrisome, especially since there are wide variations in recommendations from professional societies regarding when women should begin breast cancer screening and how often it should occur. In fact, researchers from Emory University found that less than a third of this kind of mammography educational material included specific information about guidelines that could help patients make informed decisions. "Given the controversy over mammography screening guidelines, it's crucial that hospitals give their patients specific and accurate information," lead author Dr. Gelareh Sadigh told AuntMinnie.com. Last October, the American Cancer Society revised its mammography screening guidelines, recommending annual mammography for women 45 to 54 years of age and biennial mammography for women older than 54. This revision conflicted with recommendations from the American College of Radiology, the Society of Breast Imaging, and the American College of Obstetricians and Gynecologists -- all of which advise annual screening for women 40 and older. In addition, the U.S. Preventive Services Task Force recommends biennial exams for women 50 to 74. Dr. Gelareh Sadigh from Emory University. These shifting guidelines have resulted in considerable confusion for many patients, Sadigh and colleagues wrote. Add the issue of readability -- the American Medical Association recommends that patient educational material be no higher than the seventh-grade reading level of the average American -- and patients may not be getting the information they need. "Given the many controversies surrounding screening mammography, nuanced information about mammography guidelines may already be difficult for many patients to understand," the authors noted. And if "online patient information is presented at a more difficult reading level, patient confusion is likely to be further exacerbated." 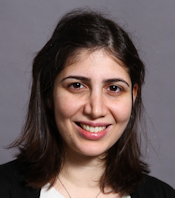 To evaluate the quality of mammography educational material on hospital websites, Sadigh and colleagues used data from the Medicare Hospital Compare Quality of Care database, identifying hospitals recognized as eligible mammography providers by the U.S. Centers for Medicare and Medicaid Services. The group found 3,252 hospitals with websites and confirmable mammography services; of these, 54% (1,753) offered mammography information online. The researchers assessed these websites for references to breast cancer screening guidelines, including the source of the guidelines, and evaluated the reliability of the websites (AJR, September 9, 2016). Of the 1,753 hospital websites that offered mammography patient education materials, only 28% referenced one or more guidelines. This included guidelines from the American Cancer Society (19%), the U.S. Preventive Services Task Force (5%), the American College of Radiology (3%), and other societies (7%). Three percent of sites mentioned guidelines without specific attribution. As for readability, Sadigh's group excluded 212 sites that had fewer than 100 words, ending with a cohort of 1,524 hospital websites. Mean readability scores among these sites ranged from 10th grade to college level, the group found. At the individual hospital level, only 0.4% had material at or below the seventh-grade level. "When patients seek healthcare information online, the understandability of the information is important to them, but so too is the endorsement of that information by a government agency or a professional organization," the authors wrote. "On both counts, with regard to screening mammography information, most hospital websites fail to meet patient needs." 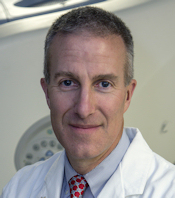 Dr. Richard Duszak Jr. of Emory. Health systems offering mammography should strive to better meet women's health information and literacy needs, Sadigh and colleagues concluded. And there's plenty of room for radiologists to get involved, senior author Dr. Richard Duszak Jr. of Emory told AuntMinnie.com. "We can't just pass mammography education off to hospital website people," he said. "Radiologists have to get involved in shaping online information." Besides, as payment moves from fee-for-service to quality-based models, online patient education just might be part of the mix. "Hospitals are increasingly getting scored on patient satisfaction surveys, and I don't think it's a stretch to say that online educational material could be part of a patients' experience when they're rating radiology," Duszak said.